"Mainly use to test web application proxy"
"The most complete pentesting suite for windows"
Its very complete, the functionalities are very good. It has enormous uses, like trying to pentest your own website or making researches. Its free but you can pay for pro version and get more features like disk based projects and not be limited to temporary projects only. If you have IT knowledge and you want to start pentesting websites on windows this could be a very good option to go for. I love this tool, as a penetration tester, this is the most used testing tool in my arsenal of hacking tools. I have been using it ever since I have been working in the field of Application Security. It allows for intercepting the application traffic and manipulates it in ways which a browser would never let me do. This is the best web proxy tool ever! Nothing, Burpsuite is one of my favorite tools and I personally don't feel it has any shortcomings, because it gives an option of extending its functionality using the extensions (BAAP store) this I feel it can be made better every day. If you are doing penetration testing then burpsuite is a must! I use it for all the web application security testing. This tool has helped me in intercepting all the types of web traffic. It works as an interceptor and a web proxy. It can also be used for mobile application testing. "Burpsuite is the best security testing tool"
Like a lot of software suites Burp is pretty intimidating at first - especially if you don't even have a theoretical background in pentesting which, when I downloaded it for a course, I didn't. It is extremely extensible and a lifetime could be spent exploring every possible application it has in securing a website: Python Scripter, XSS Validator, HeartBleed (or whatever your heart desires), BurpSuite has you covered. For doing some basic website security testing for a couple friends the free version had everything I needed. As I mentioned, it is a bit bewildering at first, but that's not the software's fault. Burp helped me help a few friends with their websites. It prevented them from being exploited by script kiddies. Since their sites do not need the highest level security possible, my the free version coupled with my amateurish pentesting skills was enough. "Burp Suite Pro is a great vulnerability scanner." Burp Suite Professional is a great tool that finds many of the vulnerabilities in a web application. It can be used to scan and replay attacks and also generates good reports. It can also be extended using Python or . Burp Suite Professional can be bit difficult to use but once you learn the basics it is fairly easy to use. Give it a try with the Free version and if you like it get a license. the cost is not very high. I use Burp Suite Professional to perform vulnerability scans on all of our corporate websites before they are released to the production servers. This is part of our Security Review Process . I am also planning on making it part of static and dynamic security review DevSecOps practice. app security audit, with burp its a piece of cake, now we can test app security in a professional way. What isn't there to like about BurpSuite? I subscribe to the pro version, which is worth it primarily for the bit of automation it brings in with the real time scanner. This tool could easily handle a full web-app pen test on its own - acting as an intercept proxy, using the intruder and repeater functions you can exploit pretty much anything. It's easy to get started with, but there's a never-ending hole of more things you can do with it. It seems like every time I open it there is an update I have to install - which is kind of annoying. Also, while the automated scanner is awesome, the scanner and spider can be quite slow sometimes. We run regular pen tests on our SaaS products, so we use BurpSuite to discover and validate issues with our web apps. BurpSuite is a significant portion of our cyber-risk management procedures. "Greatest Web App Pentesting Solution!" What I like best is it's API and rich community submitted add-ons. Custom attack vectors don't get saved. They have to be reloaded every time it's closed and re-opened. There really isn't a better value for Web App pen testing and Fuzzing. Saves me a ton of time manually testing web applications. I still code scan manually and with a code scanning software however BurpSuite lets me test the fixes in a quite automated fashion. "Quick jump into web security testing"
I like the speed of Burp Suite vs. others suites/tools that I have tried. It is a nice mix of useful attack vectors and output information. I can target and scan quickly and get the info I'm needing to pass on to my developers for fixing. It has a bit of a strong learning curve. When training new QA in the roles and areas of security they find it difficult. If I take a developer to train them on the suite they are up and running quickly. It is not a tool geared for the newbie QA person. Finding a strong level of training materials would be helpful. The easiest materials to find are difficult for a new user to traverse and get comfortable with the software quickly. For a seasoned developer it is fine. So it will depend on the level of development work a person has done or is comfortable with to be able to use all the features of the product efficiently. Take time to learn the product before placing it in to a common use or against your production server. you can cause issues to current customers on a live server. Use a test environment that is as close to your live model as possible. We have an e-commerce site, which allows a large amount of customer data to flow through. We need to find where and what type of attacks could take the site down or compromise customer data. We have realized this kind of tool is extremely helpful in finding the areas of weakness before a malicious attacker might find them. "The things you will find"
Burp suite is amazingly powerful and an extremely versatile tool for website and application security testing. With the professional edition you can use the passive/active scanning feature and add-ons for further features. The passive/active scans are wonderful at finding and testing website's security for things such as cross-site scripting vulnerabilities to outdated plugins. Also, compared to other tools, the license for this product is extremely cheap at around $400 for all of the features that are included. Burp suite is a giant in the amount of features and tools that it has, it can and will take a long time to get to know how to properly use the application. The professional and community edition are extremely similar, so it would be a good idea to practice and explore the options on the community edition before buying a license for the product. Definitely download and try it out before you consider purchasing the professional license. Theres a lot of functionality with the product, but if you don't know what you're doing or want to do those features will be wasted. We are using BurpSuite as a tool to use during our penetration tests. It is extremely helpful in testing various websites and website applications security. Also, there's a repeater function that allows you to see and understand what may have lead the web application to be vulnerable and allows you to repeat it to further prove the point. "Experience in application security texting"
The manual testing using this tool. There are various options like intruder, repeater, scanner, repeater crawling the site and scanning etc.. Burp provides all options that a hacker needsto break in on to any application. We can also integrate it with major automatic scanners. Cost effective and easy installation. The pro version is $300 and it’s very reasonable price for any scale organization to afford. cost to benefit ratio far outweighs any other commercial tools. One of the best tools to leverage. Recommendation is to not use it as a single tool if your budget allows, by supplementing with other scanners like Appscan or WebInspect. multiple things. First its a good proxy. Also, i can send request to repeater and get alot of stuff done. Next, when performing sqli, i can use the intruder feature. BurpSuite and it's features are intuitive to use and find. Makes request interception and inspection a breeze. I wish the setup between BurpSuite and the target was smoother or more in sync. 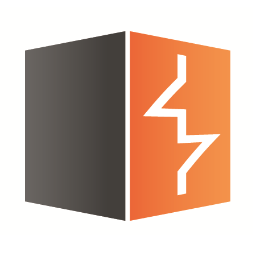 BurpSuite is a very intuitive application with a multitude of different uses for anyone looking into penetration testing and bug review / inspections. Vulnerability testing in web applications and design. Burp Suite is amazing web application scanner. The capabilities that it includes are amazing. I like all of the functionality and the extensions. It really allows you to be thorough and find vulnerabilities in your software. It can be a bit of learning curve, and the documentation is a bit all over the place. Would love to see a more centralized documentation system with robust system notes. I used BurpSuite to try to identify vulnerabilities in web applications. It really allows you to be thorough. "Burpsuite is one of the best network protocol security products available"
I love the ability to capture http requests and make modifications before passing them to the application for testing and security posture analysis. Some of the features are not intuitive, and/or require additional setup which is difficult to perform without specific training. Being able to re-play network requests and iterate through possible parameter options with much less interaction. "The Tool of the Trade"
Burp provides an easy way to proxy web and mobile application traffic. The User Interface often has bugs when utilizing a multi-monitor system, such as unreadable font sizes, or unclickable elements. This will be the only tool you need for the job. We perform web application testing and use BurpSuite to easily modify HTTP traffic, which is the core function of our jobs. "Really good Application scanning tool"
Burp is an incredibly versatile security testing tool for application, most pentesters that i have spoken to use this as a key tool in their testing. Burp can be used by relatively untrained users, but also has the capability to proform task by advanced users. Give it ago, you can use the community version to get started and pay for the professional when you realize how good it is. Identifying vulnerable pages that need attention. * We monitor all BurpSuite reviews to prevent fraudulent reviews and keep review quality high. We do not post reviews by company employees or direct competitors. Validated reviews require the user to submit a screenshot of the product containing their user ID, in order to verify a user is an actual user of the product. Hi there! Are you looking to implement a solution like BurpSuite?